Mirza Aesthetics respects individuals’ rights of privacy. For information about the company’s Data Protection Policy, please click here. The Data Protection Policy outlines how the Mirza Aesthetics handles personal data. In addition, specific guidelines applicable to this website have been adopted and set forth below. 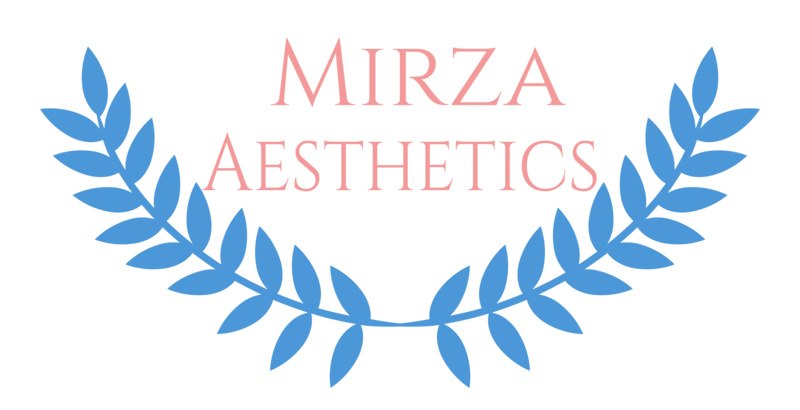 This website is owned by Allied Medical and Diagnostic Serivces LLC (“Allied Medical”), a New Jersey-based limited liability corporation that manages the activities of Dr. Muhammad Mirza and his brand, Mirza Aesthetics. The servers that host the website are located in the United States of America. We do not give your personal data to anyone else unless it is necessary to do so in order to provide the service requested by you, we have made a full disclosure to you, or we have a good faith belief that disclosure of such information is reasonably necessary to satisfy any applicable laws or regulations or in response to a request from law enforcement authorities or to detect and prevent fraud, security, or technical issues. By using this website, you consent to us disclosing your personal data to third parties for these purposes only. Any personal data you submit will not be sold, traded, or rented under any circumstances. Third-Party Vendors. At times this website will contain links to the website of a third-party vendor we have retained to perform services on our behalf (for example, the sale of beauty products). You will know that you are on a third-party vendor’s website because it will have a different appearance and your browser’s address bar will change. When we select third-party vendors, and periodically thereafter, we inspect their privacy and data protection policies to ensure that they meet the same standards we use for our own policies. If you have questions about a third-party vendor’s policies, please see the policy listed on their website. We take the security of your personal data very seriously. We protect your personal data during transit using encryption. We use computer systems with limited access housed in facilities using physical, electronic, and procedural security measures to protect the confidentiality and security of information transmitted to us. The e-mail address that you supply when creating an account on this website (and its sub-division) will be used to contact you regarding your account. For example, if you forget your username or password and request assistance with logging in, assistance will be provided by means of a message sent to the e-mail address entered in your user profile. If you make a purchase online, we collect your name and contact information. To accept payments via credit card, we use accredited online payment processing services with world-class security and data privacy policies. We do not store or have access to your credit card information, bank account numbers, or other account data sent to those processing services. The payment recipient keeps records of the financial transactions. This includes records of the date of the payment, the amount paid, and method of payment. This will enable us to meet with accounting standards and respond to any questions from you that arise during that period. You may submit personal data (such as your name, postal address, and telephone number) for purposes other than purchase or creating an account (such as to request a free consultation). We collect, store, and use this information only for the purposes for which you submitted it and only as long as necessary. Strictly Necessary Cookies: These are essential in order to enable you to use certain features of the website, such as logging in or submitting forms on the website. Without these cookies, services you have asked for, such as purchasing certain products, cannot be provided. These also include cookies that allow us to provide a service explicitly requested by you during a browser session. These cookies don’t gather information about you that could be used for marketing or remembering where you have been on the Internet. Functionality Cookies: These are used to allow the website to remember choices you make (such as your username) and provide enhanced features to improve your web experience. Analytical Cookies: These are used to collect information about how visitors use this website, for instance, the number of visits or the average duration of a visit to this website. The information is only used to improve how this website works. Use of IP addresses. An IP address is a numeric code that identifies your computer on the internet. We use your IP address to help analyze usage patterns and diagnose problems on this website and to improve the service we offer to you. Scripting is used to improve the functionality of the site. Using scripting technology allows the site to return information more quickly to you. Scripting is never used by the site to install software on your computer or to collect unauthorized information from you. Your use of this website is provided free of charge. You are not required to open an account, make a purchase, or take any action that requires providing personal data in order to benefit from the website. However, if you voluntarily decide to open an account, make a purchase, request a free consultation, or otherwise take any action that involves providing personal data, you consent to this Privacy and Cookies Policy; the storage of data on servers located in the United States of America; the collection, processing, transfer, and storage of your personal data by Allied Medical and organizations that support Mirza Aesthetics as needed to process your requested action. If you fail to provide the required personal data to open an account, make a purchase, or for any other benefit from the website that requires such personal data, we will be unable to fulfill your request. To the extent required by law, you may have additional rights in relation to your personal data. This could include the right to access, correct or delete the personal data you have provided to us through this website. If your inquiry about your personal data relates to a purchase, please contact info@mirzaaesthetics.com.